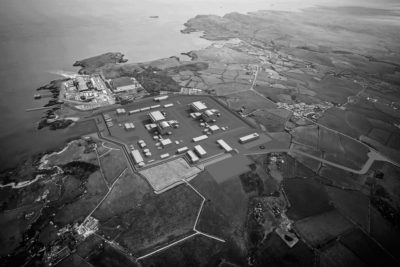 CECA today welcomed the next step towards delivery for a new nuclear power station at Wylfa in North Wales. An application for development consent for the project has been accepted by examination by the UK’s Planning Inspectorate, on behalf of the Secretary of State. The public can now register as an ‘interested party’ to input their views on the scheme. The generating station would have an electrical output of approximately 3,100 megawatts (MW), provided by two Advanced Boiling Water Reactors. If the scheme is given the green light, construction would take approximately seven years, with operation likely to commence around 2027. The site will see a peak construction workforce of as many as 6,000 workers, and up to 1,000 permanent roles. CECA has campaigned for many years for a long-term energy strategy based on a mixed portfolio of low-carbon generation, and believes that new nuclear power stations must be a key strand of this strategy. Commenting, CECA Director of External Affairs Marie-Claude Hemming said: “This is a welcome next step towards the delivery of a vital scheme for the future of the UK’s energy supply. “A new nuclear power station at Wylfa Newydd will create highly-skilled jobs over a long period of time, bringing millions of pounds in benefits to the local economy, and delivering electricity to as many as five million homes, or around 6 per cent of the UK’s demands. “Maintaining the security of our energy supply is fundamental to driving growth and ensuring our economy remains competitive.